Hunting dogs were very popular in the 19th century and the Animalier sculptors created many models and Setters, Pointers, Spaniels, Retrievers, and hounds. These fine working dogs were important in their roles to help hunters find game and to retrieve it. Delabrierre created several different sculptures of hunting dogs and his work is always well modeled and detailed. Here is a sturdy well muscled Setter or maybe a Retriever standing at attention with his head and tail up. 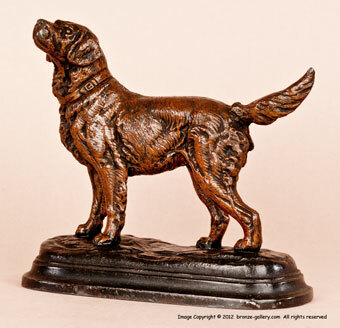 A very nice portrait of a hunting dog, this sculpture is made of regule or white bronze, which is a zinc alloy often used instead of the more expensive bronze in casting sculptures. 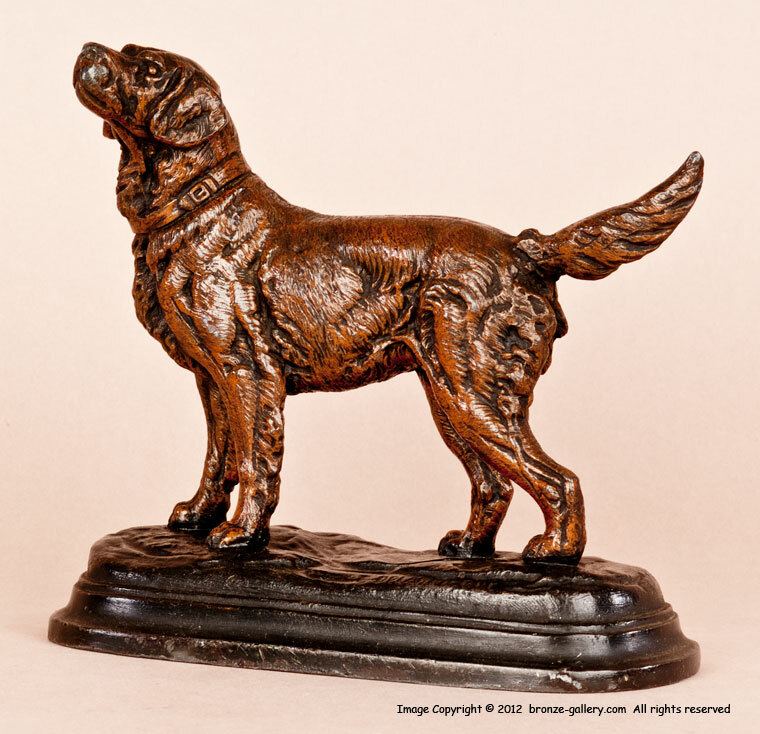 This handsome dog has a red brown patina with the base finished in a darker brown for contrast. 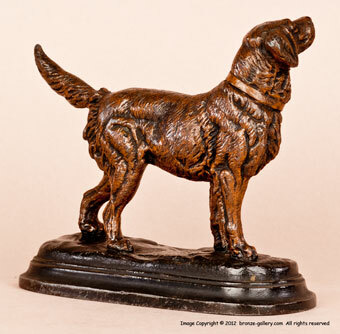 A fine small sculpture done in the 1870s and comparable in cast quality to a bronze cast but it is lighter in weight. Regule sculptures are quite rare now but they are of high quality and represent an important type of 19th century casting that is now lost.